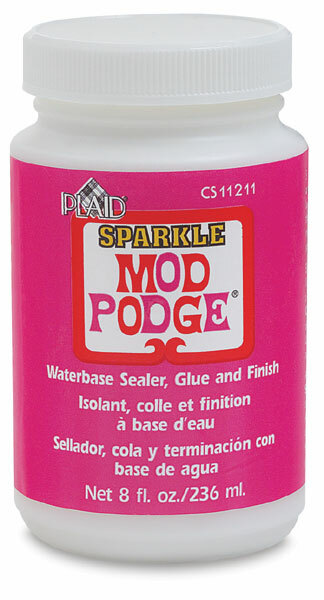 The same all-purpose performance of Mod Podge with the added bonus of sparkle — it adds a glistening finish to any project. 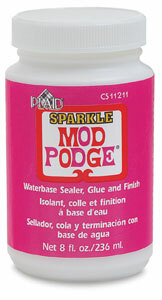 Use it for finishing découpage with a glistening finish. It seals and glues in one application. The milky white liquid dries transparent in less than 10 minutes. Spills wipe up with a damp cloth. ® Plaid is a registered trademark.